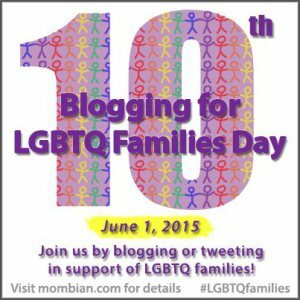 A great post on how some friends who were lesbian raised kids in the 80’s and after, with chosen family support. It does take a village! And successful efforts raise successful children! How do you know you’ve done a good thing as a parent? Well, one indicator is when your adult son, who just became a father himself, tells you that he wants to create a group of parents with kids his daughter’s age. These days, he and his wife have the convenience of the Meet Up site to aid them in their search. In 1985 in Boston, we had Lesbians Choosing Children, a homegrown group that met at the Women’s Center. It was from that group that I found the lesbian moms who would become my closest friends, really my chosen family, as we all proceeded to raise our children—separately and together—over the next 30 years.